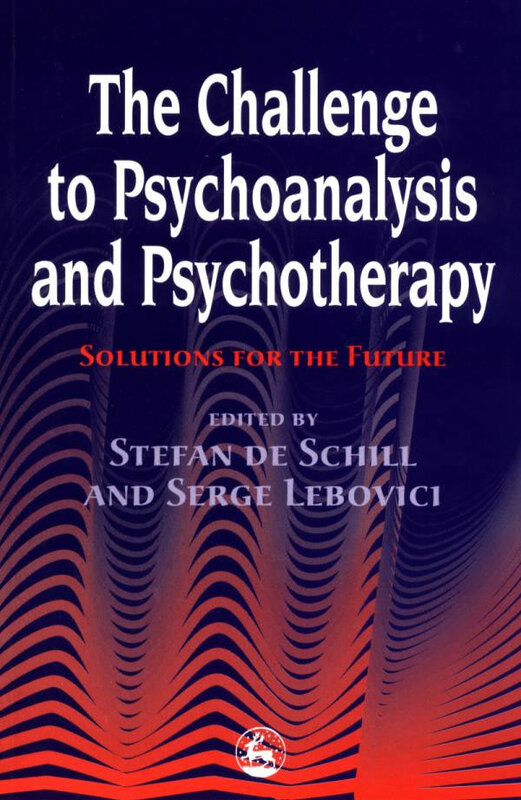 The purpose and focus of this chapter is simply the justification of the need to formalize (that is, to go beyond) the clinical case study method as the central research instrument and research access to the therapeutic process in psychoanalysis. It is concerned with the place of formal systematic research on the psychoanalytic process and the numerous problems and issues thereby raised in devising and executing such research in a manner at once meaningful and responsive to the subtlety and complexity of the phenomena, while at the same time scientific in the best sense of that term (loyalty to the reality principle, as here embodied in appropriate canons of scientific inference). He goes on to cogently explore the schism that, for the most part, divides practicing therapists and investigators doing research on the therapeutic process and the issues involved in the search ‘to reconcile successfully scientific rigor with the richness and subtle complexity of interpersonal dynamics’ (p. 70). Valid as we recognize Strupp’s argument to be, on balance we need be at least equally cognizant of the limitations of the case study method as a source of prospective continuing knowledge. These limitations have been clearly and variously summarized. Shakow (1960) spoke of the intrinsic inadequacies of psychoanalytic data that are reported by a participant observer (the analyst), as observers and reporters analysts are ‘handicapped sensorially, memorically, and expressively … Put simply, they are limited in how much they can grasp, in how much they can remember of what they do grasp, and in how much and how well they can report even the slight amount they have grasped and remembered’ (p. 83). Glover (1952) focused on the distorting biases fostered by the very conditions of analytic life: ‘Analysts of established prestige and seniority produce papers advancing a new theoretical or clinical viewpoint or discovery. If others corroborate it they tend to report that; but if others feel reason to reject it, this scientific “negative” does not get reported. So ultimately it is canonized “as so-and-so has shown'” (p. 403). For this reason, Glover sees it as almost inevitable in psychoanalysis that ‘a great deal of what passes as attested theory is little more than speculation, varying widely in plausibility’. Such defect is not corrected within the training situation which Glover feels tends rather to perpetuate error through its hothouse atmosphere and the ready ascription of dissent or question to ‘resistances’ that the candidate must overcome. This discourse has not been one-sided however. Not only are most analysts ready to agree with Strupp’s discouraged caveat that, after all, heretofore more formal research has not been able to demonstrate any real improvement over what can be learned out of the psychoanalytic process, there is the additional argument advanced so vigorously by Ezriel (1951,1952) and supported by Bellak and Smith (1956), Hartmann (1959), Kris (1947) and Kubie (1956; and in Bronner 1949) that the nature of the standard psychoanalytic situation is such as to permit it to be considered from a perspective which is analogous to a research (even a quasi-experimental) method. According to this view, the psychoanalytic situation is a relatively stabilized, recurring experimental situation in which the experimenter (the analyst) introduces independent variables (interpolations and other specifiable interventions) and can then predict and ascertain their impact on all the dependent variables within the situation, in which, after all, he has the fullest conditions of access to the subjective data that enter consciousness (no matter how seemingly remote or trivial) ever devised. Using this model of the ‘controlled conditions of the analytic relationship’ (1951), Ezriel feels that the analyst ‘can state the necessary and sufficient conditions to produce a predictable event during that session’ (1952). Kubie (1956) attempts to spell out these controlled conditions. He speaks of the ‘formal constancy of the observational situation’ powerfully established by the ‘analytic incognito’ which helps insure ‘that the variables which are brought into each session are brought in predominantly by the analysand’ (p. 125). Into this system the analyst then intrudes interpretations as deliberate and calculated variables. In this sense, ‘An interpretation is nothing other than a working hypothesis to be tested by certain implicit predictions’ (p. 129). Therefore, ‘to an unexpected degree analysis, as an experimental design, is an excellent model’ (p. 133). Kris (1947) states that it is through its ‘rules of procedure’ that the psychoanalytic situation establishes itself in this way as (almost) an experimental setting. Appealing as this thesis is, it is clear that the terms of the argument have been subtly shifted by recourse to it. Truly following it, in its implications, takes us far along the road towards more organized, that is more formal, research, with its invoking of such words (and the concomitant implementation of the principles they subsume) as ‘control, keeping factors constant, dependent and independent variables, hypotheses, and predictions’. The issue is now that such more systematized study is necessarily predicated on data more reliable, more replicable and more public than that yielded by the traditional case study alone and, additionally, of necessity, involves more operations than simply considering the analytic hour from the point of view of a quasi-experimental situation. It should be clear from the preceding discussion why two apparently diametrically opposed, but actually also complementary, sets of questions have arisen from the two sides of this dialogue. From that of the practising analyst, the questions have been: Why such concern with formalizing psychoanalytic research? Does that make sense? Do not all agree that it is our traditional case study method, developed by Freud and essentially unimproved upon since, that has developed all of our really useful knowledge of the inner workings of the mind in health and in disease, of psychopathology and of its unraveling via psychotherapy? The subjectivity of our data and of our method are of its essence. why destroy its demonstrated fruitfulness in an arid quest to render it objective? From the side of the friendly non-analyst, the sympathetic clinical researcher, the questions have been: Why such lack of concern with formalizing psychoanalytic research? Does that make sense? Do analysts not realize that despite the extraordinary insights achieved by the clinical analytic case study into the workings of the mind and the way it can change, the method is necessarily far less effective in verifying hypotheses (subjecting them to definitive empirical ‘test’) and in resolving differences between the insights (hypotheses) of different equally qualified investigators studying the same material? Among other ways, the tension in this dialectic has been expressed in Gill’s aphoristic statement of the problem of formalized clinical research as that of ‘the dilemma between the significant and the exact’. Loevinger (1963) aptly maintains that no one-sided resolution of this issue should be sought, that ‘the function of the researcher is to look for what is objective, behavioristic, and quantifiable without losing the sense of the problem. The function of the clinician is to preserve the depth and complexity of the problem without putting it beyond the reach of objective and quantifiable realization. As in the battle of the sexes, so in the clinical research dialogue, if either side wins, the cause is lost’ (pp. 242-243). In this respect, analytic clinicians can rightly and suspiciously point to too many instances where focus on the exact (the quantifiable) has redundantly affirmed the obvious and the trivial or has led to misleading implications being divorced from a larger qualifying context. The serious investigator of the psychoanalytic process cannot, then, simply accept this dilemma at face value and accept the necessity of choosing between significance and objectivity. He must address significant problems by as exact methods as his ingenuity and persistence can develop, recognizing that if established research methods cannot cope with the significant problems in his field, new methods must be sought (Sargent 1961 ). A further dilemma confronting us in this field of study is that of methods advance before substance advance. Those who have attempted to study the psychoanalytic process and/ or the outcome and effectiveness of psychoanalytic therapy in a systematic way have inevitably been more preoccupied with the development of methods which can be both relevant and objective (exact), which promise to validate appropriately—that is, within the theoretical system—and yet with due safeguards against error, circularity of reasoning and argument by tradition and authority while searching out the degree of precision—that is, of mathematization—more appropriate both to the nature of the data and to the investigative methods, than they have been involved to this point with the definitive investigation of specific substantive issues. We say inevitably because there are real and formidable scientific (as well as practical) difficulties in the way of studying the therapeutic process in psychoanalysis. These difficulties must not be allowed as arguments against formal, systematic research but they do emphasize the compelling need for psychoanalysts with a research bent to address seriously these complex technical problems which require solution if our research is to be faithful to the complexities and nuances of mental life and, at the same time, rigorous, empirical and bold. Carrying the argument even further, exclusive reliance on the ‘informal’ case study method has hindered, and promises to more gravely hinder, the further scientific development of psychoanalysis. In its thrust to this point in history, psychoanalysis has indeed profited enormously from the natural (and the fortuitous) observations of gifted individual observers who, within a supple and comprehensive theory, have been free to evolve ideas about how the mind hangs together and to test these ideas by further observations of their own, and in informal consensus with their colleagues, until they arrive at an inner conviction concerning the inherent degree of credibility of these ideas. Such conviction rests upon basic shared assumptions about how one acquires knowledge within psychoanalysis, assumptions that have been rendered explicit by am number of psychoanalytic theorists. Erikson (1958), in a little noted article on The Nature of Clinical Evidence, spells out the nature and role of what he calls ‘disciplined subjectivity’ in the handling of evidence and inference. Waelder (1962) delineates this further in defending the role of’introspection or empathy’ in this regard. He argues that though introspection and empathy are not infallible ways of knowing, neither are they negligible and that this is at least one advantage our science has, qua science, over physics. Kris (1947) avers that interpretation works not by ‘producing’ recall but by completing an incomplete memory, thereby implying that validation consists of the judgment of the goodness of fit. It is Schmidl (1955) who has developed this concept of validation within the system by goodness of interpretive fit most fully, arguing for the fit of the specific Gestalt of what is interpreted and how it fits the Gestalt of the interpretation (a homely example being the unerring fit of the two halves of the torn laundry ticket). But, at the same time, we must agree with Kubie’s (1956) cautious statement about the limits of the explanatory precision achieved within this approach to the crucial problem of validation. He stated that in analytic work we arrive at circumstantial evidence of the plausibility of an interpretation (at best), not of its unique necessity. If we are to move beyond these criteria of plausibility sustained by inner conviction towards the more usual scientific criterion of replicability, the procedures of traditional psychoanalytic case study need to be formalized, especially in their verification phases. How then may the basic data of psychoanalysis be made available to more scientific study? The issue here is one of creating the conditions that allow for independent and concurrent observation of the phenomena of the analytic consulting room. The historical method, bequeathed to us by Freud, consists of the study of the case material as reconstructed by the analyst, perhaps after completion of the case, in more or less detail and with indeterminate accuracy, omissions and selective distortions (biases). Freud’s (1912) advice proscribing any note-taking during the analytic hour was quite categorical. He stated simply that note-taking in analysis, because it meant a conscious that is logical- secondary-process selection of data, was inimical to the proper analytic stance of evenly-hovering attention that Freud intended as the analytic-counterpart to the patient’s effort at free association. Such focused selection would be clinically detrimental to the analytic unfolding, in effect partially cancelling the gains in advancing the analytic work achieved through the free association effort, and also, incidentally, deflecting the analyst from the fullest attention to his interpreting task. Another advantage of his data reconstruction method, not mentioned by Freud at this specific point but an issue with which he gave ample evidence of being much concerned, is that the avoidance of note-taking obviously makes for the most secure ethical, as well as necessary technical, safeguards of the patient’s right to proper privacy and confidentiality. Nevertheless, the many scientific liabilities of an essentially totally private and memory-based method of data generation are obvious and have been, in part, already presented under Shakow’s (1960) and Glover’s (1952) statements on the limitations of the traditional case study method as a source of continuing knowledge in psychoanalysis. The fallibility of human memory is itself the focus of a vast body of research in general psychology. Beyond this issue of fallibility, the reliance on the treating analyst’s memory alone as the central and unsupplemented data-gathering instrument in analytic research is beset by many other equally powerful limitations. These can be listed as follows: (1) The unchecked, or at least not systematically checked, subjectivity of the observer (see Gill’s remarks on the inadequate attention to the countertransference as a potent distorter of the data perceived and reported), (2) The unknown systematic biases introduced by any process of selecting data for presentation according to unspecified canons of procedure for determining relevance—an issue linked to, but by no means co-extensive with, possible countertransference distortion, (3) The lack of public character so that concurrent or independent evaluation is precluded and (4) The lack of repeatability or reproducibility of a forever vanished circumstance. Clearly, systematization must begin, rather than rest, at this point. At first glance, the use of process notes (a summary by the analyst-observer of his most salient observations), even assiduously written and in considerable detail right after or at least on the day of each analytic session, would not seem to promise any significant advance over the above described schema of memory only supplemented by ad hoc note-taking and retrospective reconstruction after the treatment. Process notes seem indeed subject in full measure to some, and in some measure to most, of the limitations already adduced for the ‘memory only’ method. Certainly, the charges of both incompleteness and distortion seem equally applicable for, after all, process notes, however detailed, are a highly selective—that is, biased—sampling of the universe of events actually occurring during the analytic sessions. But, despite these real and obvious limitations, process notes may have some formidable advantages for clinical research purposes and may indeed have a critical place at this stage of research on the psychoanalytic process. Keeping and studying systematically-recorded process notes as the essential research data may actually be a large step forward in the direction of formalizing and systematizing the clinical research enterprise. The notes provide a permanent and ‘public’ record of a systematic series of observations by a highly trained participant observer. They constitute a record which does allow for independent and concurrent observation and study (though the record itself, by its very nature, must distort the universe of events of which it is a sample). Notes may be obtained with relatively little special effort and with minimal disruption of the natural analytic situation. Daily process notes are fuller, more detailed and more descriptive-observational than notes written for summary purposes to be periodically entered on a chart. At the same time, they effect, roughly, a 30-fold reduction of the material that would be obtained per session from a typescript of a tape-recorded hour. There is then the vast gain of having a relatively brief account, even of a long analytic treatment, which the human mind can process so that large sweeps of material, disclosing major configurations and sequences of change, can be encompassed. Such notes are obviously unsuitable for study of verbal interactions or for any kind of microanalysis, but they do allow, may indeed enhance, detection of recurrent configurations (not buried in such a morass of deadly detail). In that notes for virtually a year of analysis may be read in a few hours, the clinically experienced reader will be able to retain a gross picture of the overall course of events and, perhaps, of some obvious turning points. The material may be re-read repeatedly, and gone over together in a group, until each investigator has a highly differentiated cognitive map of the terrain. Patterns may be tentatively identified and then checked and rechecked against observations. Similarities and differences between groups of sessions become visible. The implication should be clear in all of this that to the extent that process notes represent equally well the phenomena of particular research interest as do the more complete verbal account of the audiotapes transcribed into the verbatim typescripts (a still open, empirical question)—that is, to the extent that they are ‘good enough’ or ‘equally good’ for the particular research purpose at hand—process notes may indeed have research advantages over the theoretically fuller recording of the audiotape since they can well make not only for greater manageability of data but also for greater visibility and hence extractibility of centrally relevant data. And they can have a further evident advantage in the very realm of completeness itself. The usual assumption in the use of the unsupplemented tape recording as the essential research data is ‘that analysis all takes place in the space between the analyst and the patient and that it is fully represented by their verbal behavior’ (Schlesinger, unpublished manuscript). But it is clear that what is necessarily missing here is the unspoken activity in the analyst’s mind, the overall meanings he grasped in the patient’s material and the basis on which he made decisions for or against intervention, for, in analysis, only the patient is under the injunction to try to say everything that comes to mind. It is precisely this mental activity by the analyst that should be captured by properly written process notes. In this area, process notes can have a ‘completeness’ denied to the tape recording. That this process can work, and in this way, is attested to by the reliance on just this data method in our entire clinical and teaching enterprise in psychoanalytic work, supervision, the case conference and the continuous case seminar. With all the acknowledged limitations in the method, people do conduct psychoanalyses, and learn under supervision how to do so, with process notes as the primary media of exchange and study. That the clinical and educational enterprise ‘works’, however imperfectly, is not a scientific argument but it at least makes of this an issue worthy of systematic scientific scrutiny. This issue is the particularized version of the question—’how good/bad are process notes anyway?’—particularized to the modifying question, for what purpose? The clinician has the impression that he can supervise a case from process notes and be reasonably comfortable that he has a fairly good grasp on what is going on. There is no real body of other empirical evidence—pro or con—in regard to this issue, which is not simply a restatement of the proposition that distortion occurs, upon which everyone agrees. We need to know whether, for a particular purpose, process notes provide a ‘good enough’ account or, perhaps, at times, a better one. Knapp (Knapp, Muschatt and Nemetz 1966) is one of the few analysts who has actually collected side-by-side data (tape recording and independent process notes) and subjected them to comparative study in order to begin to provide empirical evidence on this question of whether patterns of change demonstrable in the process notes would also be documented in the same ways in the actual tape recorded verbal transactions between the patient and analyst, a question of such major import for clinical practice and teaching as well as research. However, verbatim recording has in recent years been increasingly vigorously proposed as the essential methodological advance if research into the psychoanalytic process is to progress beyond the inherent limitations of subjective memory-based data upon which all other approaches rest. It was introduced into clinical psychoanalytic research as early as 1933 when Earl Zinn was known to have made Dictaphone recordings of psychoanalytic sessions with a patient at the Worcester State Hospital (Carmichael 1956). Since then this method has been advocated and used by a widening array of analytic investigators. Certainly Freud’s early expressed concern that the introduction of any such outside element would not be possible has been amply laid to rest. The most obvious advantage of the recorded session is that of the greater completeness, permanence and public character of the data record. Gill et al. (1968) contrast this with the by now oft-repeated question concerning the limitations of the analyst’s memory, necessarily distorted, since he remembers and synthesizes according to his conception of the case, since he is unwittingly—albeit necessarily—influenced by the nature of his therapeutic commitment, and since any such intense human relationship is inevitably clouded by scotomata. Kubie (in Brenman 1947) further contrasts recording as an operational technique with the difficulties that arise in any effort at similar comprehensiveness of data recording by any other method: ‘Months of daily observation of a process which waxes and wanes continually by just perceptible increments and decrements gradually dulls the perceptions of even the keenest observer, paralyzes the memory through the monotony of repetition, and renders the written word literally useless as an instrument of record…’ (p. 199). Gill et al. (1968) speak additionally of what they see as an equally compelling advantage of tape recording beyond the improvement of the data record—that is, the facilitation of the separation of the therapeutic from the research responsibility with the possibility of thus bypassing the inevitable biases of the analyst as a contaminant of the data filter. Haggard, Hiken and Isaacs (1965) wonder whether valid research on the therapeutic process can be done by the treating analyst at all if ‘By objective research we mean procedures for data collection, analysis and interpretation which do not rely on the perception, judgment, appraisal or memory of a single individual—especially if he is personally involved in the therapeutic situation or process’ (p. 171). Bergman (1966), who has conducted a several-hundred-hour-long completed analytic treatment with recording and sound filming of every session, felt that the recording itself became an integral part of the ‘structure’ of the treatment. Psychotherapy has many elements of structure which provide it with a background and stable context that we regard as ‘natural’ though there is nothing natural or usual about these elements in human discourse. To Bergman, sound recording is just another arbitrary convention which, if used widely enough, becomes taken for granted as one more ‘natural’ element comprising the ‘cultural mores’ of psychotherapy. In summing up the argument for the necessity of recording, Shakow (in Bronner 1949) has declared it to be essential to proper data gathering for the naturalistic-observational phase that psychoanalysis at times seems in a hurry to bypass though it can no more afford to do so than can any other developing science.